Moradi, Fazil (2019) "Un Translatable Death, Evidentiary Bodies: After – Auschwitz and Murambi – in Translation." in Critical Studies (forthcoming). Breckenridge, Keith (2019) "The Failure of the ‘Single Source of Truth about Kenyans’ : The National Digital Registry System, Collateral Mysteries and the Safaricom Monopoly" in African Studies 78 (1). Geissler, P. W. and N. Tousignant (2019) "Beyond realism: Africa‘s medical dreams. (introduction to special issue)." in Africa (in press). McHardy, Julien, Oulimata Gueye and Richard Rottenburg (eds.) (forthcoming) (2019) "Digital Imaginaries." Moradi, Fazil & Richard Rottenburg, eds. 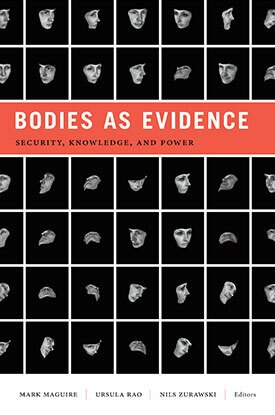 (2019) "Acts of Evidence: On the Translatability of Genocidal Violence." in Critical Studies Special Issue (forthcoming). Cantini, Daniele (in print) (2018) "Reforming universities in the Middle East – trends and contestations from Egypt and Jordan." in LATISS (Learning & Teaching). Breckenridge, Keith (2018) "The Global Ambitions of the Biometric Anti-Bank : Net1, Lockin and the Technologies of African Financialization." in International Review of Applied Economics. Erikson, Susan (2018) "Cell Phones ≠ Self: An Analysis of the Big Data Detection and Containment Hypes of the 2014-2016 West African Ebola Pandemic." in Medical Anthropology Quarterly. Bognitz, Stefanie (forthcoming) (2018) "Mediation undone: On disputing and decision-making of Komité z’Abunzi (Mediation Committees) in Rwanda." in On mediation , edited by Günther Schlee and Karl Härter. New York: Oxford: Berghahn. Bognitz, Stefanie (forthcoming) (2018) "The legal laboratory in Rwanda: Experimentalization and Adaptation." in Normative spaces in Africa , edited by Kathrin Seidel and Hatem Elliesie. London and New York: Routledge. Bognitz, Stefanie (forthcoming) (2018) "Dispute as critique." in Special Issue: Engaging Mediation, Conflict and Society , edited by Stefanie Bognitz. Bognitz, Stefanie (in preparation) (2018) "The gendered work of practices in legal aid: Un/livable afterlives of widows of genocide in Rwanda." in Special Issue: Reframing Gender Variance, Signs: Journal of Women in Culture and Society , edited by Siri Lamoureaux & Richard Rottenburg. Moradi, Fazil (2018) "Love and Feminicide in Kurdistan." in Culture Magazine 3 (2018):21-27. trans. by Nabz Samad. Scholtes Fabian (forthcoming) (2018) "Transregional aspects of International Financial Regulation." in Handbook of Transregional Studies , edited by M. Middell. London and New York: Routledge. Langwick, Stacey (2018) "A Politics of Habitability: Plants, Healing and Sovereignty in a Toxic World." in Cultural Anthropology 33(3): 415-443. Langwick, Stacey (forthcoming) (2018) "Healing in the Anthropocene." in The World Multiple: Politics of Knowing and Generating Entangled Worlds , edited by Keiichi Omura, Atsuro Morita, Shiho Satsuka and Grant Jun Otsuki. New York: Routledge. Behrends, Andrea (2018) "On categorizing: the ‘doing’ and ‘undoing’ of refugees in the Chad-Sudan borderlands." in Vienna Working Papers in Ethnography No. 6 Vienna: University of Vienna. Thelen, Tatjana (2018) "Ethnographic Methods." in Handbook of Political, Social, and Economic Transformation, , edited by Raj Kollmorgen, Wolfgang Merkel and Hans-Jürgen Wagener. Oxford: Oxford University Press. Umlauf, René (2018) "'Dormant parasites’: Testing beyond the Laboratory in Uganda’s Malaria Control Program." in Experimentation beyond the laboratory: new perspectives on technology in society, , edited by Ibo van de Poel and Lotte Alsveld. London, New York: Routledge. Lock, Margaret and Vinh-Kim Nguyen (eds.) (forthcoming) (2018) "An Anthropology of Biomedicine." London: Wiley-Blackwell. Cantini, Daniele (in print) (2018) "Knowledge Production at the postgraduate level in Egyptian public universities." Cairo/New York: American University in Cairo Press. 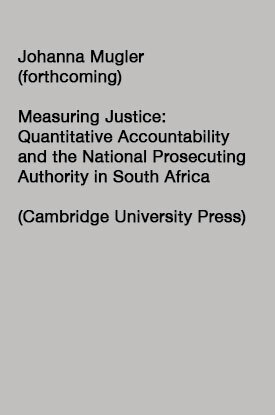 Bognitz, Stefanie (in preparation) (2018) "Promising access to justice: The everyday of legal aid and mediation in Rwanda." PhD thesis. Halle: Philosophical Faculty I, University of Halle. Umlauf, René and Uli Beisel (forthcoming) (2018) "Outsourcing the Laboratory? Testing technologies for malaria and the push towards evidence-based diagnosis in Global Health." in Science as Culture. Bognitz, Stefanie (2017) "Mistrusting as mode of engagement in mediation: Insights from a socio-legal practice in Rwanda." in Mistrust. Ethnographic Approximations , edited by Florian Mühlfried. Bielefeld: transcript. Thiel, Alena and Michael Stasik (2017) "Market men and station women: changing significations of gendered space in Accra, Ghana." in Journal of Contemporary African Studies 34 (4):459-478. Spencer, Sylvanus (2017) "Transcending Traditional Tropes: Autochthony as a Discourse of Conflict and Integration in Post-war Krio/Non-Krio Relations in Sierra Leone." in Politics and Policies in the Upper Guinea Coast Societies: Change and Continuity, 205-222 , edited by Christian K. Hojbjerg, Jacqueline Knoerr and William P. Murphy. New York: Palgrave Macmillan. Moradi, Fazil (2017) "Genocide in translation: on memory, justice, and future remembrance." 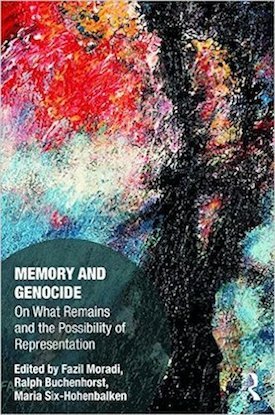 in Memory and genocide: on what remains and the possibility of representation , edited by Fazil Moradi, Ralph Buchenhorst, and Maria Six-Hohenbalken London and New York: Routledge. Schramm, Katharina (2017) "Einführung: Postkoloniale STS." in Science and Technology Studies. Ein Überblick über klassische Positionen und aktuelle Perspektiven, 471-494 , edited by Susanne Bauer, Torsten Heinemann and Thomas Lemke. Frankfurt a.M.: Suhrkamp. Schramm, Katharina (2017) "Review: Nash, Catherine: Genetic Geographies. The Trouble with Ancestry." in Anthropos 112 (1):343-344. Turner, Bertram (2017) "Translocal, faith-based dispute management: Moroccan-Canadian struggles with normative plurality" in Multireligious Society: Dealing with religious diversity in theory and practice, 213-235 , edited by Colom González, Francisco and Gianni D’Amato. Abingdon: Routledge. Serlin, David (2017) "Confronting African Histories of Technology: A Conversation with Keith Breckenridge and Gabrielle Hecht." in Radical History Review 127:87-102. Hoinathy, Remadji (2017) "La gouvernance des revenus pétroliers au Tchad: l’introuvable panacée?" in Revue Scientifique du Tchad - Série A 14: 86-96. Calkins, Sandra and Richard Rottenburg (2017) "Evidence, infrastructure and worth." in Infrastructures and Social Complexity. A Companion, 253-265 , edited by Penny Harvey, Casper Bruun Jensen, and Atsuro Morita. London: Routledge. Erikson, Susan (2017) "The Limits of the International Health Regulations: Ebola Governance, Regulatory Breach, and the Non-Negotiable Necessity of National Healthcare." in The Governance of Disease Outbreaks. International Health Law: Lessons from the Ebola Crisis and Beyond, , edited by Pedro A. Villarreal, Katrina Weilert, and Leonie Vierck. Heidelberg: Nomos Publishing. Gout, Philippe (forthcoming) (2017) "Access to Land Rights for Non-Muslims in Greater Khartoum: Disclosing the Epistemic Gap Between International and Sudanese Religious Minority Models." in Anthropology of law in African and Asian Muslim Worlds: The Sudan , edited by Barbara Casciarri and Mohamed Abdelsalam Babiker. Leiden: Brill. Langwick, Stacey (2017) "The Value of Secrets: Pragmatic Healers and Proprietary Knowledge." in African Medical Pluralism, 31-49 , edited by William Olsen and Carolyn Sargent. Bloomington and Indianapolis: Indiana University Press. Liwa, A., R. Roediger, H. Jaka, A. Bougaila, L. Smart, S. Langwick and R. Peck (2017) "Herbal and Alternative Medicine Use in Tanzanian Adults Admitted with Hypertension-related Diseases: A Mixed-methods Study." in International Journal of Hypertension 3:1-9. Thelen, Tatjana (2017) "Property: An essential dimension of social organization and change." in Ökonomische Anthropologie: Einführung und Fallbeispiele, 144-162 , edited by Gertraud Seiser. Vienna: Facultas. Thelen, Tatjana, Larissa Vetters and Keebet von Benda-Beckmann (2017) "Stategraphy: Relational Modalities, Boundary Work, and Embeddedness." in Stategraphy: Toward a Relational Anthropology, , edited by Tatjana Thelen, Larissa Vetters and Keebet von Benda-Beckmann. New York, Oxford: Oxford University Press. Umlauf, René (2017) "Precarity and Preparedness: Non-Adherence as Institutional Work in Diagnosing and Treating Malaria in Uganda." in Medical Anthropology 36 (5):449-463. Liggins, Arlena S. and Uli Beisel (2017) "Translating the glucometer – from “Western” markets to Uganda: glucometer graveyards, missing testing strips and the difficulties of patient care." in World Politics in Translation: Power, Relationality and Difference in Global Cooperation, 59–75 , edited by Tobias Berger, Alejandro Esguerra. London, New York: Routledge. Turner, Bertram (2017) "Conclusion: Retaliation in Specific Spheres of Effectiveness." in On Retaliation. Towards an Interdisciplinary Understanding of a Basic Human Condition, 283-305 , edited by Betram Turner and Günther Schlee. New York, Oxford: Berghahn. Turner, Bertram (2017) "Introduction On Retaliation: Conceptual Plurality, Transdisciplinary Research, Rifts, Blurrings and Translations." in On Retaliation. Towards an Interdisciplinary Understanding of a Basic Human Condition, 1-25 , edited by Bertram Turner and Günther Schlee. New York, Oxford: Berghahn. Turner, Bertram (2017) "The anthropology of property." in Comparative Property Law: Global Perspectives, 26-47 , edited by Michele Graziadei and Lionel Smith. Cheltenham: Edward Elgar. Moradi, Fazil, Ralph Buchenhorst, and Maria Six-Hohenbalken (2017) "Memory and genocide: on what remains and the possibility of representation." London and New York: Routledge. Thelen, Tatjana and Erdmute Alber (eds.) (2017) "Reconnecting State and Kinship." Philadelphia: University of Pennsylvania Press. Thelen, Tatjana, Larissa Vetters and Keebet von Benda-Beckmann (eds.) (2017) "Stategraphy: Toward a Relational Anthropology of the State." New York, Oxford: Berghahn. Umlauf, René (2017) "Mobile Labore. 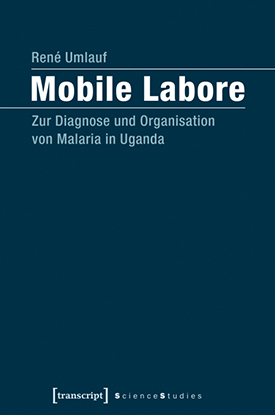 Zur Organisation und Diagnose von Malaria." Bielefeld: Transcript Verlag. McHardy, Julien (Scenography / Art Direction) (2016) "Europe Endless Express Theatre and Politics Festival." 3 day train trip Amsterdam-Prague-Bratislava-Cologne-Amsterdam. Spencer, Sylvanus (2016) "Expanding the Space for Freedom of Expression in Post-War Sierra Leone." in The Upper Guinea Coast in Global Perspective, 222-240 , edited by by Jacqueline Knoerr and Christoph Kohl. Oxford and New York: Berghahn. Moradi, Fazil, and Kjell Anderson (2016) "The Islamic State’s Êzîdî Genocide in Iraq: The ‘Sinjār Operations’." in Genocide Studies International 10 (2): 1-33. Moradi, Fazil (2016) "The Force of Writing in Genocide: On Sexual Violence in the al-Anfāl Operations and Beyond." in Gender Violence in Peace and War: States of Complicity, 102-115 , edited by Victoria Sanford, Katerina Stefatos and Cecilia Salvi. New Brunswick, NJ and London: Rutgers University Press. Schramm, Katharina (2016) "Casts, Bones and DNA: Interrogating the Relationship between Science and Postcolonial Indigeneity in Contemporary South Africa." in Anthropology Southern Africa 39 (2):131-144. Turner, Bertram (2016) "Technologies of truth finding: provision of evidence in local dealings with crime and deviance in rural Morocco" in Cahiers d’anthropologie sociale 13:60-77. Hoinathy, Remadji (2016) "Tchad: la virtualité comme nouveau ressort de la résistance sociale?" in Etat des résistances dans le sud – Afrique, 149-156 , edited by François Polet. Paris: Ed. Syllepse. Eckert, Julia (2016) "Does Evidence matter?" in Allegra Lab: Anthropology, Law, Art, World. Nsabagasani, Xavier, Japer Ogwal-Okeng, Ebba Holme Hansen, Anthony Mbonye, Herbert Muyinda and Freddie Ssengooba (2016) "Better medicines for children’ within the Integrated Management of Childhood Illness framework: a qualitative inquiry in Uganda." in Journal of Pharmaceutical Policy and Practice 9: 22. Erikson, Susan L. (2016) "Metrics and Market Logics of Global Health" in Metrics: What Counts in Global Health , edited by Vincanne Adams Durham, NC: "Duke University Press"
Mugisha, James, Herbert Muyinda, Ashraf Kagee, Peter Wandiembe, Stephen Kiwuwa Mpugu, Davy Vancampfort and Eugene Kinyanda (2016) "Prevalence of suicidal ideation and attempt: associations with psychiatric disorders and HIV/AIDS in post-conflict Northern Uganda." in African Health Sciences 16 (4):1027-1035. Blair, Alden Hoope, Margo Ellen Pearce, Achilles Katamba, Samuel S. Malamba, Herbert Muyinda, Martin T. Schechter, and Patricia M. Spittal (2016) "The Alcohol Use Disorders Identification Test (AUDIT): Exploring the Factor Structure and Cutoff Thresholds in a Representative Post-Conflict Population in Northern Uganda." in Alcohol and Alcoholism 52 (3):318-327. Gout, Philippe (2016) "The ICC and the Crime of Genocide: Maneuvering the Status of Minority in Darfur." Paris: Noria Research Group. Geissler PW and Kelly A (2016) "Field station as stage: Re-enacting scientific work and life in Amani, Tanzania." in Social Studies of Science 46 (6):912-937. Geissler, P. W. and N. Tousignant (2016) "Capacity as history and horizon: Infrastructure, autonomy and future in African health science and care. (Intro to special issue)." in Canadian Journal of African Studies 50 (3):349-61. Behrends, Andrea (2016) "No boon at all." in German research. Magazine of the Deutsche Forschungsgemeinschaft 3/2016: 16-20. Holden, Kerry, and Nele Jensen (2016) "From under the wheels of the juggernaut: global health networks, gold standards and the possibilities for social science critique." in Science as Culture 26 (1):124-132. Holden, Kerry, and Aaron Van Klyton (2016) "Exploring the tensions and incongruities of Internet governance in Africa." in Government Information Quarterly 33 (4):736-745. Redfield, Peter (2016) "Ebola and the Vulnerable Volunteer." in Volunteer Economies: The Politics and Ethics of Voluntary Labor in Africa, 222-233 , edited by R. Prince and H. Brown. Woodbridge: James Currey. Turner, Bertram (2016) "Supply-chain legal pluralism: normativity as constitutive of chain infrastructure in the Moroccan argan oil supply chain." in Journal of Legal Pluralism and Unofficial Law 48 (3):378-414. Cantini, Daniele (2016) "Youth and Education in the Middle East: Shaping Identity and Politics in Jordan." London: I. B. Tauris (Library of Modern Middle East Studies, 177). Geissler P W, Lachenal G, Manton J, Tousignant N (2016) "Traces of the Future: An Archaeology of Medical Science in Twenty First Century Africa." Bristol: Intellect. Giese, Karsten and Alena Thiel (2015) "Chinese factor in the space, place and agency of female head porters in urban Ghana." in Social and Cultural Geography 16 (4):444-464. Spencer, Sylvanus (2015) "‘Invisible Enemy’: Translating Ebola Prevention and Control Measures in Sierra Leone." in Working Papers of the Priority Programme 1448 of the German Research Foundation, No. 13. Moradi, Fazil (2015) "Dawn in Salar Majeed's 12 m2 atelier: memory of loss and future in the city of Sulaimani." in 100 Jahre Völkermord an AremnierInnen und die KurdInnen: komplexe Vergangenheit und Nachwirken in der Gegenwart , edited by Ferdinand Hennerbichler, Christoph Osztovics, Maria Six-Hohenbalken and Thomas Schmidinger, 215-243. Wien: Caesar Press. Moradi, Fazil, Adel Daoud, Roukaya A. Ibrahim, and Shailen Nandy (2015) "Iraq." in The SAGE encyclopedia of world poverty , edited by Mehmet Odekon. Thousand Oaks: SAGE. Park, Sung-Joon (2015) "IRBs as traveling technologies: between regulation and virtues." 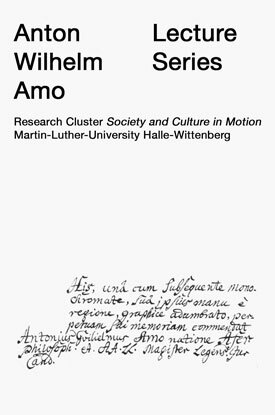 in Notes from within and without - research permits between requirements and "realities", 23-27 , edited by Ulf Engel, Claudia Gebauer and Anna Hüncke. Working Papers of the Priority Programme 1448 of the German Research Foundation. Breckenridge, Keith (2015) "The Conspicuous Disease: The Surveillance of Silicosis in South Africa, 1910 - 1970." in American Journal of Industrial Medicine 58 (S1): 15-22. Breckenridge, Keith (2015) "Hopeless Entanglement: The Short History of the Academic Humanities in South Africa." in American Historical Review 120 (4):1253 – 1269. Thelen, Tatjana (2015) "Ethnographische Methoden." in Handbuch Transformationsforschung, 255- 264 , edited by Raj Kollmorgen, Wolfgang Merkel and Hans-Jürgen Wagener. Wiesbaden: Springer VS.
Thelen, Tatjana (2015) "Care of the Elderly, Migration, Community: Explorations from Rural Romania." in Rethinking Care: Kinship, Work, Institutions, and the Life-Course, 137-155 , edited by Erdmute Alber and Heike Drotbohm. Basingstoke: Palgrave Macmillan. Riedke, Eva (2015) "'You shouldn’t be seen talking to them!' - Accidental frontlines, building trust and coping with danger." in Civilisations 64. Special issue: "Field Research in Difficult Contexts: Hostile Settings Sensitive Topics, Taboos." Langwick, Stacey (2015) "Partial Publics: The Political Promise of Traditional Medicine in Africa." in Current Anthropology 56 (4):493-514. Muyinda, Herbert and James Mugisha (2015) "Stock-outs, uncertainty and improvisation in access to healthcare in war-torn Northern Uganda." in Social Science and Medicine 146:316-323. Mugisha, James, Herbert Muyinda, Samuel Malamba and Eugene Kinyanda (2015) "Major depressive disorders seven years after the conflict in Northern Uganda: burden, risk factors and impact on outcomes (The Wayo-Nero study)." in BMC Psychiatry 15:48. Nsabagasani, Xavier, Jasper Ogwal-Okeng, Anthony Mbonye, Freddie Ssengooba, Nantanda, Rebecca, Herbert Muyinda and Ebba Holme Hansen (2015) "The ‘child size medicines’ concept: policy provisions in Uganda." in Journal of Pharmaceutical Policy and Practice 8:2. Mugisha, James, Herbert Muyinda, Peter Wandiembe and Eugene Kinyanda (2015) "Prevalence and factors associated with Post-traumatic Stress Disorder seven years after conflict in three districts in northern Uganda (The Wayo-Nero study)." in BMC Psychiatry 15:170. Gout, Philippe (2015) "Le statut juridique des ‘Noubas’ du Sud Kordofan et la Charte africaine des droits de l’homme et des peuples." in Les minorités ethniques, linguistiques et/ou culturelles en situations coloniales et post-coloniales (XVIIIe-XXIe siècles), 109-125. Poitiers: Presses Universitaires Juridiques de Poitiers. Redfield, Peter (2015) "A Measured Good." in Medical Humanitarianism: Ethnographies of Practice, 242-251 , edited by S. Abramowitz and C. Panter-Brick. Philadelphia: University of Pennsylvania Press. Holden, Kerry (2015) "Lamenting the golden age: love, labour and loss in the collective memory of scientists." in Science as Culture 24 (1):24-45. Geissler PW (ed.) (2015) "Para-states and Medical Science: Making Global Health in Africa." Durham: Duke University Press. McHardy, J., C. Werner and N. Volkmann (Exhibition, Scenography) (2014) "Seismographic Sounds: Visions of a New World (Curated by Norient)." Forum Schlossplatz, Aarau (August 2014); Zentrum für Kunst und Medientechnologie (ZKM), Karlsruhe, (Nov 2015); CTM Festival, KKB Kunstraum Kreuzberg, Berlin (Mar 2016); Castelgrande, Bellinzona (Apr 2016); November 25 to December 23, 2016 BASE, Milano (Dec 2016; Kornhausforum, Bern, (Jan 2017). Spencer, Sylvanus (2014) "Singing for Change: Music as a Means of Political Expression for Young People in Sierra Leone and Liberia." in Travelling Models in African Conflict Management: Translating Technologies of Social Ordering, 181-204 , edited by Andrea Behrends, Sung-Joon Park and Richard Rottenburg. Leiden: Brill. Dewachi O, Skelton M, Nguyen VK, et al. (2014) "Changing therapeutic geographies of the Iraqi and Syrian wars" in Lancet 383(915):449-457. Breckenridge, Keith (2014) "The Book of Life: The South African Population Register and the Invention of Racial Descent, 1950 – 1980." in Kronos (Special Issue: Paper Regimes) 40:225-240. Breckenridge, Keith (2014) "Marikana and the Limits of Biopolitics: Themes in the Recent Scholarship of South African Mining." in Africa 84 (1):151-161. Breckenridge, Keith (2014) "The Politics of the Parallel Archive: Digital Imperialism and the Future of Record-Keeping in the Age of Digital Reproduction." in Journal of Southern African Studies 40 (3):499-519. Beisel, Uli (2014) "On gloves, rubber and the spatio-temporal logics of global health." in Somatosphere → http://somatosphere/2014/10/rubber-gloves-global-health.html. Moradi, Fazil (2014) "Foreword: for the love of life." in A new perspective: suggestions on how to remember the crime of genocide, by Omer Muhamad, translated into Kurdish by Goran Baba Ali. Sulaimani: Kamal. Eckert, Julia (2014) "What is the Context in Law in Context?" in Concepts of law : comparative, jurisprudential, and social science perspectives, 225-236 , edited by Sean Donlan and Lukas Heckendorn. Farnham: Ashgate. Schramm, Katharina (2014) "Review of Sammeln, erforschen, zurückgeben? Menschliche Gebeine aus der Kolonialzeit in akademischen und musealen Sammlungen, by Holger Stoecker, Thomas Schnalke and Andreas Winkelmann." in H-Soz-u-Kult 04.12.2014 → http://www.hsozkult.de/publicationreview/id/rezbuecher-22414. 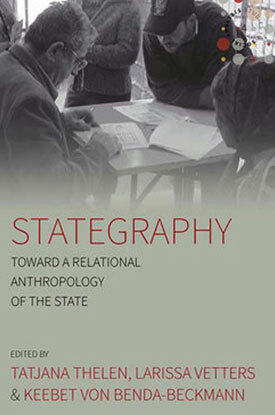 Thelen, Tatjana, Larissa Vetters and Keebet von Benda-Beckmann (2014) "Stategraphy: Toward a Relational Anthropology of the State (special issue)." in Social Analysis 58 (3). Eckert, Julia (2014) "Preventive laws and the policing of the urban poor." in The persistence of poverty in India, 291-316 , edited by Nandini Gooptu and Jonathan Parry. New Delhi: Social Science Press. Lamoureaux, Siri (2014) "Order of iconicity and the malleability of language." in Emerging Orders in the new Sudans , edited by Enrico Ille, Richard Rottenburg and Sandra Calkins . Bamenda: Langaa Publishers. Komey, Guma Kunda (2014) "Popular Consultation as a Mechanism for Peaceful Social Order in the Nuba Mountains / South Kordofan" in Emerging Orders in the Sudans, 229 -246 , edited by Sandra Calkins, Enrico Ille, Richard Rottenburg. MankonBamenda, Cameroon: Langaa RPCIG. Höhne, Stefan, and René Umlauf (2014) "Die Akteur-Netzwerk Theorie. Zur Vernetzung und Entgrenzung des Sozialen." in Theorien in Raum- und Stadtforschung – Eine Einführung, 203-222 , edited by Jürgen Oßenbrügge and Anne Vogelpohl. Münster: Westfälisches Dampfboot. Breckenridge, Keith (2014) "Biometric State: The Global Politics of Identification and Surveillance in South Africa, 1850 to the Present." Cambridge: Cambridge University Press. M'charek, Amade, Katharina Schramm, and David Skinner, eds. (2014) "Race and Technologies of Belonging (special issue)." in Science, Technology & Human Values 39 (4). Thelen, Tatjana (2014) "Care/Sorge. Konstruktion, Reproduktion und Auflösung bedeutsamer Bindungen." Bielefeld: transcript. Bognitz, Stefanie (2013) "Crafting transitional justice: Significations of rights-based organizations and legal aid in Rwanda." in Nouvelles études pénales 24: 269-83. McHardy, Julien (2013) "The Making of Electric Cycling." in Sustainable practices: Social Theory and Climate Change , edited by Elizabeth Shove and Nicola Spurling. London: Routledge. Marfaing, Laurence and Alena Thiel (2013) "The Impact of Chinese Business on Market Entry in Ghana and Senegal." in Africa: Journal of the International African Institute 83 (4):646-669. Sargent, Carolyn and Susan L. Erikson (2013) "Hospitals as Sites of Cultural Confrontation and Integration" in European States and Their Muslim Citizens: The Impact of Institutions on Perceptions and Boundaries Pp. 29-53 , edited by John R Bowen, Christophe Bertossi, Jan Willem Duyvendak, Mona Lena Krook Cambridge, England: "Cambridge University Press"
Geissler PW (2013) "Public secrets in public health: knowing not to know while making scientific knowledge." in American Ethnologist 40 (1):13-34. Geissler PW (2013) "Stuck in ruins, or up and coming? The shifting geography of urban health work in Kisumu, Kenya." in Africa 83 (4):539-560. Redfield, Peter (2013) "Triage sans frontières." in La médecine du tri: Histoire, éthique, anthropologie 81-102 , edited by G. Lachenal , C. Lefèvre, and V.K. Nguyen, Paris: Presses Universitaires de France. Hoinathy, Remadji (2013) "Pétrole et changement social au Tchad: Rente pétrolière et monétisation des relations économiques et sociales dans la zone pétrolière de Doba." Paris: Karthala. Alber, Erdmute, Cati Coe and Tatjana Thelen (2013) "The Anthropology of Sibling Relations: Shared Parentage, Experience and Exchange." New York: Palgrave Macmillan. Komey, Guma Kunda (2013) "The Nuba Political Predicament in Sudan(s): Seeking Resources Beyond Borders" in The Borderlands of South Sudan: Authority and Identity in Contemporary and Historical Perspectives, 89-109 , edited by Christopher Vaughan, Mareike Schomerus and Lotje de Vries. Bringstoke: Palgrave Macmillan. Redfield, Peter (2013) "Life in Crisis: The Ethical Journey of Doctors Without Borders" Berkeley: University of California Press. Giese, Karsten and Alena Thiel (2012) "The vulnerable other ‐ distorted equity in Chinese‐Ghanaian employment relations." in Ethnic and Racial Studies 37 (6):1101‐1120. 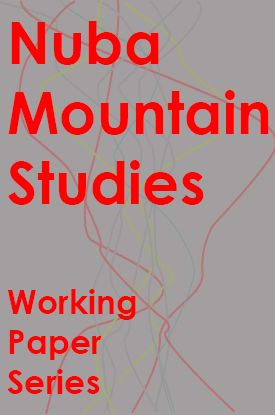 Kay, Rebecca, Sergei Shubin and Tatjana Thelen (2012) "Rural realities in post-socialist space: Introduction." in Journal of Rural Studies 28 (2): 55-62. Thelen, Tatjana (2012) "“The natural order of things” and State Policies: Parenting in eastern Germany after 1989." in Ethnologie francaise 42 (1):45-54. (Special issue on Parentés et Paternités, edited by Martine Segalen). Langwick, Stacey (2012) "The Choreography of Global Subjection: The Traditional Birth Attendant in Contemporary Configurations of World Health." in Medicine, Mobility, and Power in Global Africa: Transnational Health and Healing, 31-59 , edited by Hansjörg Dilger, Aboulaye Kane and Stacey Langwick. Bloomington: Indiana University Press. Scholtes, Fabian (2012) "Afterthoughts. Issues for an Anthropology of Knowledge and Development." in Enviromental Uncertainty and Local Knowledge. Southeast Asia as a Laboratory of Global Ecological Change, 273-279 , edited by Anna-Katharina Hornidge and Christoph Antweiler Bielefeld: Transcript. Langwick, Stacey, Hansjörg Dilger and Abdoulaye Kane (2012) "Introduction: Transnational Medicine, Mobile Experts." in Medicine, Mobility, and Power in Global Africa: Transnational Health and Healing, 1-29 , edited by Hansjörg Dilger, Abdoulaye Kane, and Stacey Langwick. Bloomington: Indiana University Press. Langwick, Stacey (2012) "“Agitating for Hope, Learning to Care.” Comment on Claire Wendland’s article “Animating Biomedicine’s Moral Order: The Crisis of Practice in Malawian Medical Training"." in Current Anthropology 53 (6):778-779. Moradi, Fazil (2012) "The Baʿth Regime’s State of Exception: Configuration of de facto Sovereignty or al-Anfāl Operations." in Kawana 14: 28-37, translated into Kurdish by M. H. Saleh Tawfiq. Redfield, Peter (2012) "Sleeping Sickness and the Limits of Biological Citizenship." in Rethinking Biomedicine and Governance in Africa, 229-249 , edited by W. Geissler, R. Rothenburg and J. Zenker. Bielefeld: transcript. Breckenridge, Keith and Simon Szreter (2012) "Registration and Recognition: Documenting the Person in World History." Oxford: Oxford University Press. Eckert, Julia, Brian Donahoe, Christian Strümpell, and Zerrin Ozlem Biner (2012) "Law against the State: Ethnographic Foray’s into Law’s Transformations." Cambridge: Cambridge University Press. Langwick, Stacey (2011) "Bodies, politics, and African healing. The matter of maladies in Tanzania." Bloomington: Indiana University Press. Patel, S., P. Spittal, H. Muyinda, G. Oyat, & N. Sewankambo (2011) "The Wayo Programme in Northern Uganda: Building on Traditional Assets in Supporting Acholi Young Women and Girls in the Context of War and HIV." in Children's Rights and International Development: Lessons and Challenges from the Field, 195-219 , edited by Myriam Denov, Richard Maclure and Kathryn Campbell. London: Palgrave Macmillan. Gout, Philippe (2011) "La restitution des biens culturels en cas de trafic illicite." Paris: IHEI (Paris 2 Panthéon-Assas University). Hornidge, Anna-Katharina, and Fabian Scholtes (2011) "Climate Change and Everyday Life in Toineke Village, West Timor: Uncertainties, Knowledge and Adaptation." in Sociologus 61 (2):151-175. Komey,Guma Kunda (2011) "Pastoral-sedentary market relations in a war situation: the Baqqara-Nuba Case." in Economic Spaces of Pastoral Production and Commodity Systems: Market and Livelihoods, 79-106 , edited by Jörg Gertel and Richard Le Heron. Surrey: Ashgate. Langwick, Stacey (2011) "Healers and Scientists: The Epistemological Politics of Research about Medicinal Plants in Tanzania, or “Moving Away from Traditional Medicine.”" in Evidence, Ethos and Experiment: The Anthropology and History of Medical Research in Africa, 263-295 , edited by P. Wenzel Geissler and Catherine Molyneux. New York and Oxford: Berghahn. Jitta Jessica, Muyinda Herbert, Ostergaard Nielsen Kathrine and Ebba Holme Hansen (2011) "Quality Medicine Use for Children in Uganda: Situational Analysis." Kampala: Makerere Press. Langwick, Stacey (2011) "Bodies, Politics, and African Healing: The Matter of Maladies in Tanzania." Bloomington: Indiana University Press. Geissler, PW & C Molyneux (eds.) (2011) "Evidence, Ethos and Experiment: Anthropology and History of Medical Research in Africa." Oxford: Berghahn. McHardy, Julien, Jesper Wolf Olsen, Jen Southern and Elizabeth Shove (2010) "Makeshift Users." in Design Research: Synergies from Interdisciplinary Perspectives, 96–109 , edited by Jesper Simonsen, Jørgen Ole Bærenholdt, Monika Büscher and John Damm Scheuer. London: Routledge. Thelen, Tatjana, and Haldis Haukanes (2010) "Parenthood and Childhood: Debates within the Social Sciences" in Parenting After the century of the Child: Travelling Ideals, Institutional Negotiations and Individual Responses, 11-33 , edited by Tatjana Thelen and Haldis Haukanes. Aldershot: Ashgate. Thelen, Tatjana (2010) "Modernität, Mangelwirtschaft und Postsozialismus. Probleme ethnologischer und soziologischer Theoriebildung angesichts gesellschaftlicher Veränderung." in Sociologus 60 (1):15-40. Thelen, Tatjana, Carolin Leutloff-Grandits (2010) "Self Sacrifice or natural donation? A life course perspective on grandmothering in New Zagreb (Croatia) and East Berlin (Germany)." in Horizontes Antropologicos 16 (34):427-452. Thelen, Tatjana (2010) "Kinning im Alter: Verbundenheit und Sorgebeziehungen ostdeutscher Senior/Innen." in Verwandtschaft heute, 225-248 , edited by Erdmute Alber, Bettina Beer, Julia Pauli and Michael Schnegg. Berlin: Dietrich Reimer. Thelen, Tatjana (2010) "Two German localities: Introduction." in Family, Kinship and State in Contemporary Europe: The View from Below: Nineteen Localities. Vol. 2, 225-231 , edited by Patrick Heady and Peter Schweitzer. Frankfurt, New York: Campus. Thelen, Tatjana and Astrid Baerwolf (2010) "Navigating Kinship relations in eastern Germany: love, care and limits." in Family, Kinship and State in Contemporary Europe: The View from Below: Nineteen Localities. Vol. 2, 232-267 , edited by Patrick Heady and Peter Schweitzer. Frankfurt, New York: Campus. Thelen, Tatjana and Haldis Haukanes (2010) "Parenting After the Century of the Child: Introduction." in Parenting After the Century of the Child: Travelling Ideals, Institutional Negotiations and Individual Responses, 1-10 , edited by Tatjana Thelen and Haldis Haukanes. Aldershot: Ashgate. Thelen, Tatjana (2010) "Privatizing Parenthood – Modernizing Childhood? Paradoxes of School Reform in Eastern Germany." in Parenting After the Century of the Child. Travelling Ideals. Institutional Negotiations and Individual Responses, 141-161 , edited by Tatjana Thelen and Haldis Haukanes Aldershot: Ashgate. MacElroy T., Spittal P., Atim A., Tebere L., and Muyinda H. (2010) "Mothering in a Time of Conflict: Acholi Women's Experience of Child Rearing in the Displacement Camps of Northern Uganda." in Journal of the Motherhood Initiative for Research and Community Involvement 1 (1). Langwick, Stacey (2010) "From Non-Aligned Medicines to Market-based Herbals: China’s Relationship to the Shifting Politics of Traditional Medicine in Tanzania." in Medical Anthropology 29 (1):1-29. Redfield, Peter (2010) "The Verge of Crisis: Doctors Without Borders in Uganda." in Contemporary States of Emergency: The Politics of Military and Humanitarian Interventions, 173-195 , edited by D. Fassin and M. Pandolfi. New York: Zone Books. Nguyen, Vinh-Kim (2010) "The Republic of Therapy: Triage and Sovereignty in West Africa’s Time of AIDS." Durham: Duke University Press. Thelen, Tatjana and Haldis Haukanes (2010) "Parenting after the Century of the Child: Travelling Ideals, Institutional Negotiations and Individual Responses." Aldershot: Ashgate. Komey, Guma Kunda (2010) "Land, Governance, Conflict and the Nuba of Sudan." London: James Currey. 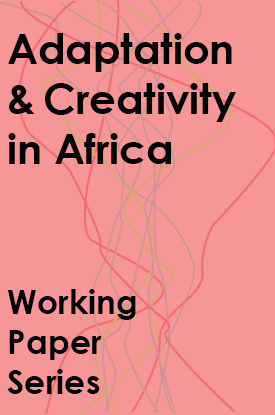 Geissler, PW & RJ Prince (2010) "The Land is Dying: Creativity, Contingency and Conflict in western Kenya." Oxford: Berghahn. Nguyen, Vinh-Kim (2009) "Government-by-exception: enrolment and experimentality in mass HIV treatment programs in Africa." in Social Theory and Health 7(3):196-222. Thelen, Tatjana, Carolin Leutloff-Grandits and Anja Peleikis (2009) "Social Security in Religious Networks: An Introduction." in Social Security in Religious Networks. Anthropological Perspectives on New Risks and Ambivalences, 1-30 , edited by Carolin Leutloff-Grandits, Anja Peleikis and Tatjana Thelen. New York, Oxford: Berghahn. Thelen, Tatjana (2009) "Social Security, Life Courses and Religious Norms: Ambivalent Layers of Support in an Eastern German Protestant Network." in Social Security in Religious Networks. Anthropological Perspectives on New Risks and Ambivalences, 94-122 , edited by Carolin Leutloff-Grandits, Anja Peleikis and Tatjana Thelen. New York, Oxford: Berghahn. Lamoureaux, Siri (2009) "Text-message poetry among university students in Sudan: the broader effects of personal practices." in ICTs and Development Universitat Oberta de Catalunya, Barcelona. Scholtes, Fabian (2009) "How does moral knowledge matter in development practice, and how can it be researched?" in ZEF Working Paper 40. Scholtes, Fabian (2009) "Analysing and Explaining Power in a Capability Perspective." in ZEF Working Paper 37. Thelen, Tatjana and Astrid Baerwolf (2008) "Traditionalisierung in der Flexibilisierung: Familiäre Arbeitsteilung in Ostdeutschland." in Flexibilisierung. Folgen für Arbeit und Familie, 275-294 , edited by Marc Szydlik. Wiesbaden: VS Verlag für Sozialwissenschaften. Langwick, Stacey (2008) "Articulate(d) Bodies: Traditional Medicine in a Tanzanian Hospital." in American Ethnologist 35:428-439. Redfield, Peter (2008) "Vital Mobility and the Humanitarian Kit." in Biosecurity Interventions: Global Health and Security in Question, 147-171 , edited by A. Lakoff and S. Collier. New York: Columbia University Press. Holden, Kerry, and David Demeritt (2008) "Democratising Science? The politics of promoting biomedicine in Singapore’s developmental state." in Environment and Planning D: Society and Space 26 (1):68-86. Nguyen V-K, CY Ako, P Niamba, A Sylla, I Tiendrebeogo (2007) "Adherence as therapeutic citizenship: impact of the history of access to antiretroviral drugs on adherence to treatment." in AIDS 21 (5):S31-S35. Thelen, Tatjana and Rosie Read (2007) "Social Security and Care After Socialism (special section)." in Focaal 50 (2). Read, Rosie and Tatjana Thelen (2007) "Introduction. Social security and care after socialism: Reconfigurations of public and private." in Focaal 50:3-18. Thelen, Tatjana (2007) "Partition and Partings: The Paradox of German Kinship Ties." in The Partition Motif in Contemporary Conflicts, 221-242 , edited by Smita Tewari Jassal and Eyal Ben-Ari. Thousand Oaks, London, New Delhi: Sage. Langwick, Stacey (2007) "Devils, Parasites and Fierce Needles: Healing and the Politics of Translation in Southeastern Tanzania." in Science, Technology, and Human Values 32:88-117. Whyte, S. R. and H. Muyinda (2007) "Wheels and New Legs: Mobilization in Uganda." in Disability in Local and Global Worlds, 287-310 , edited by B. Ingstad and S. R. Whyte. London: University of California Press. Thelen, Tatjana (2006) "Law and mutual assistance in families: A comparison of socialist legacies in Hungary and eastern Germany." in Journal of Legal Pluralism 53-54:177-207. Thelen, Tatjana (2006) "Lunch in an East German Enterprise – Differences in Eating Habits as Symbols of Collective Identities." in Zeitschrift für Ethnologie 131:51-70. Langwick, Stacey (2006) "Geographies of Medicine: Interrogating the Boundary between 'Traditional' and 'Modern' Medicine in Colonial Tanganyika." in Borders and healers: brokering therapeutic resources in southeast Africa, 143-165 , edited by Harry West and Tracy Luedke. Bloomington: Indiana University Press. Thelen, Tatjana (2005) "Violence and social (dis)continuity: comparing collectivization in two East European villages." in Social History 30 (1):25-44. Thelen, Tatjana (2005) "Caring Grandfathers. Changes in Support between Generations in East Germany." in Generations, Kinship and Care: Gendered Provisions of Social Security in Central Eastern Europe, 163-188 , edited by Haldis Haukanes and Frances Pine. Bergen: Universität Bergen. Nguyen, Vinh-Kim (2004) "Antiretroviral globalism, biopolitics, and therapeutic citizenship." in Global assemblages: technology, politics, and ethics as anthropological problems, , edited by A Ong and S Collier. London: Blackwell. Nguyen V-K and K Peschard (2004) "Anthropology, inequality and disease: a review." in Annual Review of Anthropology 32: 447-474. Thelen, Tatjana (2004) "Gewalt und soziale Reproduktion: ein Vergleich der Kollektivierungspraxis in zwei Dörfern." in Anthropologie der Konflikte, 136-154 , edited by Julia Eckert. Bielefeld: transcript. Thelen, Tatjana (2003) "“The New Power of Old Men”: Privatisation and Family Relations in Mesterszállás (Hungary)." in The Anthropology of East Europe Review: Central Europe, Eastern Europe and Eurasia 21 (2):15-23. Thelen, Tatjana (2003) "Are the kuláks back? Inherited Capital and Social Continuity in Mesterszállás, Hungary." in Distinct Inheritances: Property, Family and Community in a Changing Europe, 329-346 , edited by Hannes Grandits and Patrick Heady. Münster: Lit. Thelen, Tatjana (2003) "“The son of a fox is a fox, the son of a dog a dog”. Forms of capital and local perception of success in a Hungarian village." in Breaking the wall: Representing anthropology and anthropological representations in post-communist Eastern Europe, 205-228 , edited by Viorel Anastasioae. Cluj-Napoca: EFES. Thelen, Tatjana (2003) "Privatisierung und soziale Ungleichheit in der osteuropäischen Landwirtschaft. Zwei Fallstudien aus Ungarn und Rumänien." Frankfurt a.M., New York: Campus. Redfield, Peter (2000) "Space in the Tropics: From Convicts to Rockets in French Guiana." Berkeley: University of California Press. The acronym LOST stands for Law, Organization, Science and Technology. Anthropology of Law (L), Organization Studies (O), and Science and Technology Studies (ST) are three vigorous transdisciplinary fields. A growing academic current mingles these fields and thereby engenders provocative insights. Working at the intersection of these fields and fusing their approaches, we additionally emphasize the ethical and aesthetic dimensions of fact-making in the contemporary. The ambition of our detailed ethnographies is to respond to long-standing questions raised in social theory and philosophy and vice-versa, to render those questions into ethnographic inquiries with a special focus on critique. We address issues of global and planetary scope, although several of our empirical projects are situated in Africa. Since its inception in 2002 by Richard Rottenburg, LOST has expanded – from a small group localized in Halle to a decentralized network of independent scholars.